The Artlantis Studio utility comes with more than 400 different graphic elements and media objects that can be quickly integrated into your own projects. The app enables you to use shaders, texture mapping, 3D objects, plants or people. The Artlantis in-app store provides access to more than 5000 new objects, but keep in mind that you have to purchase them separately. Furthermore, the Bilboards function enables you to integrate 2D images into a 3D rendering. As far as productivity is concerned, thanks to the Artlantis Studio real-time radiosity preview, you can visualize the effect of each modification instantly, and then quickly adjust parameters, if necessary. Artlantis Studio integrates heliodons that can simulate a realistic, natural lighting, but also enables you to use artificial lights, or neon shaders. In addition, when working with spherical backgrounds generated by HDRI images, the utility deals with the overall illumination, creating 360° reflections. 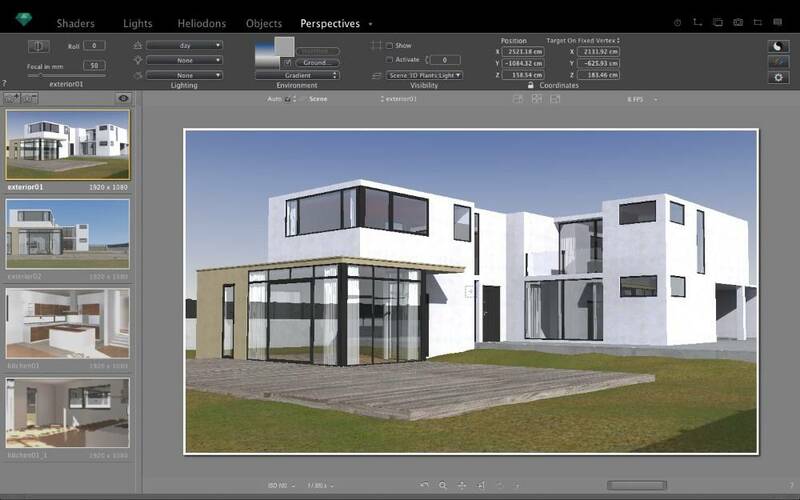 If you need to create presentations, Artlantis Studio allows you to change the viewer’s perspective and analyze the modifications generated by the lighting or seasons changes. 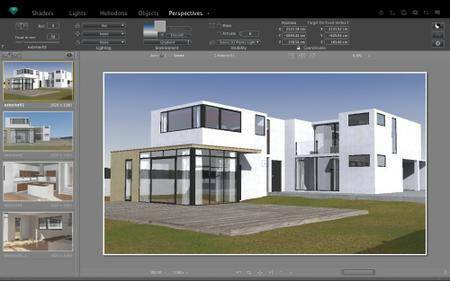 At the same time, Artlantis Studio provides support for most popular exchange file formats and offers additional integration plug-ins in order to help you transfer your projects to other apps, such as ArchiCAD, SketchUp, VectorWorks, and so on. Thanks to the built-in iVisit 3D technology, Artlantis Studio allows you to create panoramas or VR objects that can be visualized online: since the app is using images and not the actual 3D animation, the rendering is very fast. To conclude, Artlantis Studio provides a plethora of efficient tools that can help you create detailed illustrations, or high quality 3D objects that will be rendered by the high quality Maxwell Render Engine. Artlantis Studio also comes with a Farm Renderer that offers you the possibility to create realistic graphic illustrations and present your project in a professional manner. - An avi rendering will not be created if the destination has accentuated characters.